Stop worrying about overweight luggage fees! 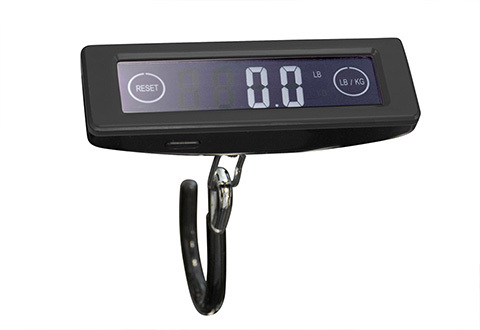 The Smallest Digital Luggage Scale eliminates the fear of costly overweight bags... and the hassle of weighing them on a home scale. 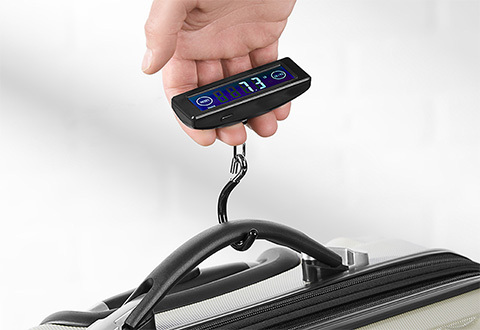 This palm-sized device conveniently hooks onto your luggage to easily tell you the weight of your bags. 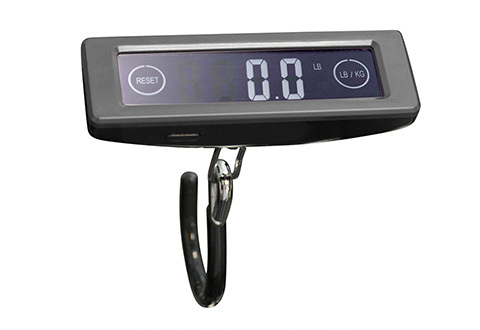 Its touchscreen technology displays the weight in pounds or kilograms, and shuts off automatically to conserve battery power. 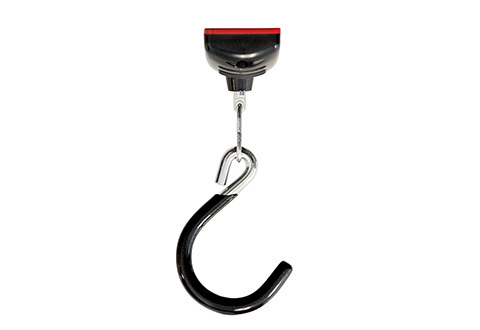 Works with all bags and suitcases. Available in Black or Silver. The Smallest Digital Luggage Scale makes it easy to weigh your bags... before you get to the airport! • Max. weight capacity: 99.8 lbs.